I know some readers questioned why I would part ways with my Philip Morris (PM) shares to acquire more Becton Dickinson shares when I wrote my November 4 article but I had a BDX covered call trade ruminating in the back of my mind when I entered the PM and BDX trades. I just did not disclose it in my article. NOTE: I place my BDX covered call trade on November 15. I have owned shares in the above noted companies for many years and have no intention of parting ways with these shares. I am, however, all for trying to extract additional income by granting someone the right to purchase my shares at the above noted strike prices no later than the December 21st expiry date. In exchange for granting someone the right to purchase my shares, I have received a few thousand dollars for the option contracts I have written on these 3 underlying securities. NOTE: Some of these underlying securities are held in accounts for which I do not disclose details, and therefore, I will not divulge the number of option contracts. If the underlying security's share price remains below the strike price I will retain the shares and the option premium I have received. If the share price of the underlying security rises to or above the strike price before the expiry date, I intend to close out the option contract(s) and to write new covered calls for a later expiry (eg. January 2019). Since I continue to be of the opinion that share prices are most likely to head lower over the very short-term, I have written 3 more December 21 2018 covered call contracts today so as to skim some additional income. Korn Ferry International (KFY) - $55 strike price - generated $1.35/share option premium - March 15, 2019 expiry. I also had written covered calls on MSFT on August 30 with a $115 strike price for which I received a nice option premium. These options expired November 16 and because MSFT's share price was below the strike price I was able to retain my MSFT shares. While I am typically inclined to write covered calls if I am going to employ options, I did something out of the ordinary for me back on August 28 when I purchased a couple of Constellation Brands (STZ) calls - $190 strike price which a January 18, 2019 expiry. I could have closed out my position a couple months ago for a nice profit but instead decided not to. STZ's share price has dropped ~$25/share since mid-October and now I am underwater on these options. In this article I explain my rationale for this trade. I would like to see a severe market correction but I suspect this is unlikely to occur. I am, however, more confident that some equities with lofty valuations will remain under pressure over the next few months. 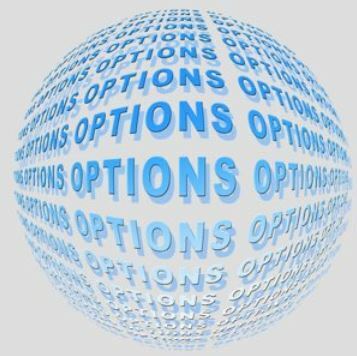 On this basis I am prepared to enter into very short-term covered call out of the money option contracts where I think there is a high probability the stock price will remain below the strike price up until the option contract's expiry. I do not want my holdings to be called away so if the underlying security's price rises to the point where I risk having my holdings called away, I plan to close out the contracts and to roll forward at a higher strike price. As noted in my November 15 article I have not set any option income target for 2018 and I have decided not to set one for 2019. The use of covered calls is merely an opportunisitc strategy I am employing to generate additional income. My plan is to have a portfolio that runs on 'auto pilot'. It is certainly not my intent to be spending my retirement days monitoring stock price fluctuations. I will be setting a 2019 dividend income target after I see exactly what dividend income the FFJ Portolio (including 'side accounts') has generated for all of 2018. I will communicate this when I publish my December 2018 FFJ Portfolio monthly update. Disclosure: I am long ADP, BDX, CVX, HSY, KFY, MSFT, SJM and V.